We are counting down to World Water Day on March 22, and the official kick-off to the 2019 EarthEcho Water Challenge. Each year, the EarthEcho Water Challenge equips young people and community members around the world with the tools to connect to their local water resources through water quality monitoring, provides a platform for participants to share their data at www.monitorwater.org, and inspires participants to play an active role in protecting waterways in their communities. 1. Visit www.monitorwater.org to order an EarthEcho Water Challenge test kit and download our guide to help you plan your monitoring event. 2. 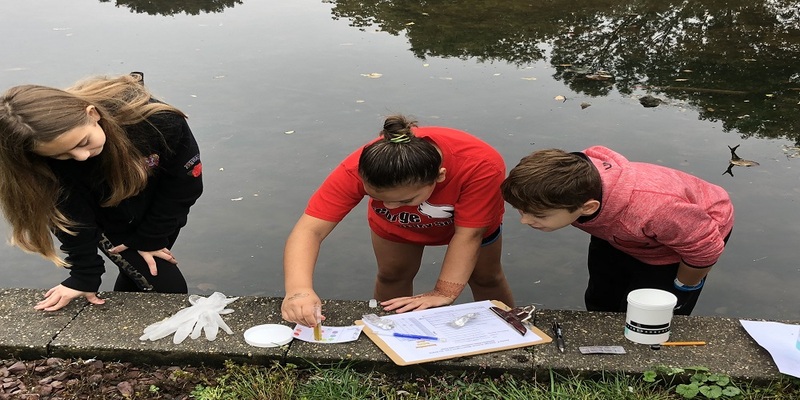 Conduct your water quality monitoring and share your data at www.monitorwater.org. 3. Take action to improve water health in your community! Be sure to join the conversation on social media leading up to World Water Day by following us on Facebook, Twitter, and Instagram and by sharing stories of your water monitoring efforts using hashtag #MonitorWater. Stay tuned in the coming weeks for new EarthEcho Water Challenge resources and opportunities as we gear up for our 2019 program kick-off. We look forward to working with you as we renew our efforts to monitoring and protecting water resources around the world!